Here is something that my whole family can agree on. 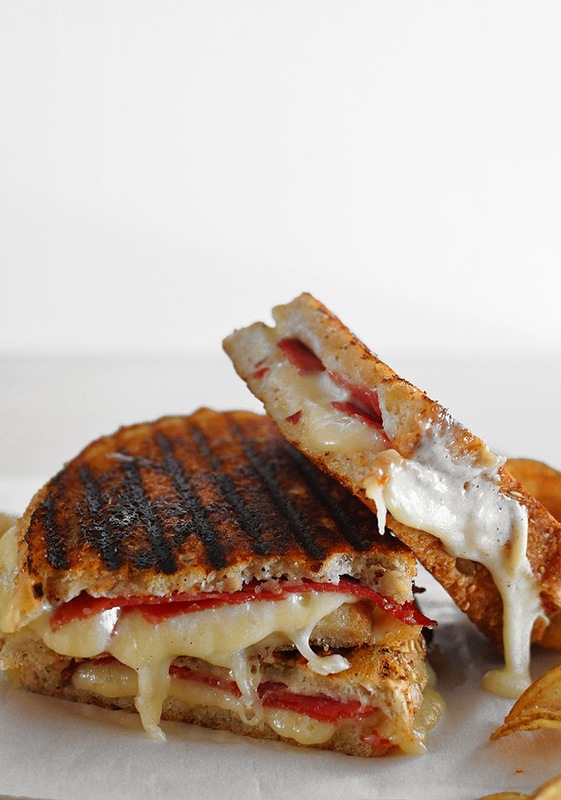 We all love grilled cheese, and this is a doctored up version of otherwise a pretty straightforward dish. There is really no limits in creating these sandwiches and you can customize it for everyone very easily. Switch up the meat for vegetables, use different breads and spreads. Sky is the limit. Here is what went into this delicious sandwich. 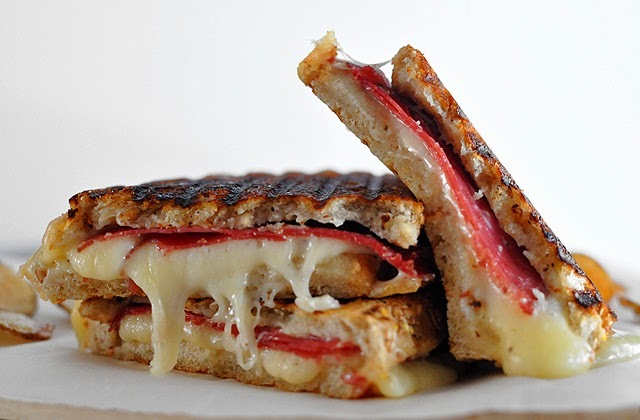 Put a tablespoon of honey mustard basil spread on each slice of the bread and follow with Bresaola ham and Fontina Cheese. Brush the sandwich on both sides with some olive oil and then put on the hot grill pan. I use a aluminum foil wrapped brick to put on the sandwiches since I don't have a panini maker which would be perfect for these sandwiches. 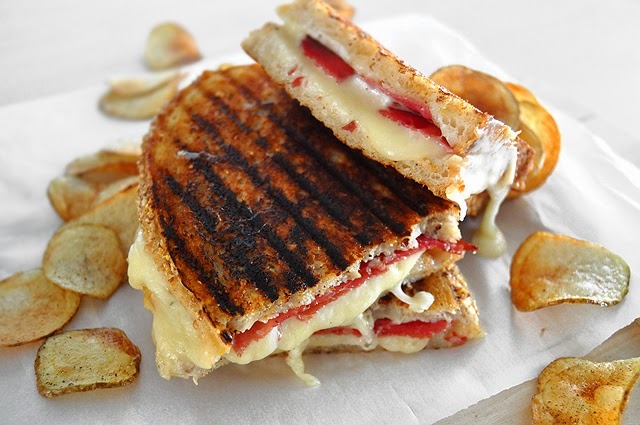 Grill the sandwiches for a few minutes on each side and serve immediately. I made a batch of homemade chips sprinkled with sea salt and served it alongside the sandwich with a quarter of a large pickle. Yum!!! Put all of the ingredients into a bowl and mix well, season with salt and pepper.